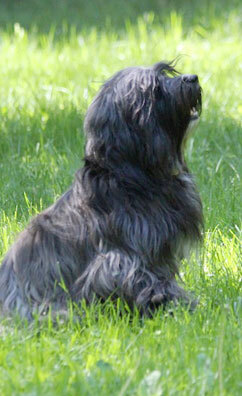 The Tibetan Terrier Foundation is fortunate to have the support of the Tibetan Terrier community. You can do your part to help us fund health research, rescue, and education. Whether you are volunteering, participating in a fundraising event, or making a donation... your support is greatly appreciated. Donations can be made online or by mail. Memorial Contribution in memory of a friend or your Tibetan Terrier. Celebrate your TT's birthday, new title or other milestone with a gift to the TTHWF. Gifts are tax deductible and your name will be listed as a donor on this site. Help us fund important health research by pledging to donate $25.00 (or more) per puppy. When you sell a puppy, simply send a check for $25.00 per puppy to the address on the form. Please help us create awareness and expand the reach of TTHWF by contacting other TT owners, telling them about the wonderful work the Foundation does, and encouraging them to support us too. 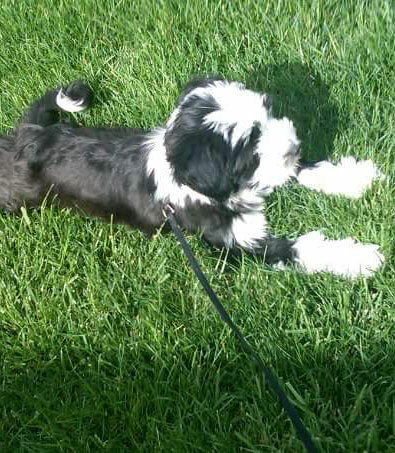 The Tibetan Terrier Health and Welfare Foundation (TTHWF) is a non-profit 501 (c) (3) organization established in 2007 under the auspices of the Tibetan Terrier Club of America (TTCA). Through the support of generous donors, TTHWF funds medical and genetic investigations conducted by universities, veterinary schools and other institutions involved in canine research. The focus of these investigations is diseases that affect Tibetan Terriers, but the Foundation's work benefits many other breeds. In addition, the Foundation provides a rescue fund for the welfare of the Tibetan Terrier breed to support the rescue activities of the TTCA. The Foundation will also maintain a data bank containing information relating to health problems and genetics distinctive to Tibetan Terriers to be made available to breeders and their veterinarians.